Flow is a gorgeous new Reddit client for phones and tablets that’s being independently developed by Deepak Manoharan. Though it’s still in alpha, Flow trumps many other Reddit apps with its slick card-based UI that makes viewing and interacting with content a pleasure. Plus, it does a great job of handling preloads, comment threads and text-heavy articles. I tend to browse Reddit whenever I have a few minutes to spare in the day, and when I just want to flip through content and news of interest to me. Flow features a beautiful interface that’s perfect for this, requiring minimal taps to view content: at the heart of its Holo-inspired UI is a card view for posts, that loads inline image and video previews so you can decide whether they’re worth your time, with just a glance. Plus, each card clearly displays relevant information such as the post type, votes and URL of origin, as well as controls for voting/saving/commenting on posts without cluttering up your feed. It’s an impressive balancing act that’s aided by clever choices for fonts (Roboto Slab is great for everything from short comments to walls of text) and simple but effective light and dark themes. The UI also features panels to keep options and info close at hand: touch the icon on the left to reveal the left panel with settings, accounts and subreddits; swipe right from the main panel to reveal the active subreddit’s sidebar. You can choose from three different post display styles when browsing. List and Compact Cards styles are fairly similar in that they display posts in sequence with content thumbnails, reveal interaction buttons when you tap and hold on an item, and are great for skimming through subreddits, while the Cards style displays large inline content previews for more relaxed browsing. I prefer the latter even though it isn’t perfect — full-width images aren’t always full-height, which means you’ll have to tap memes to read the text at the top and bottom of each image. Flow handles all kinds of content very well indeed: you can quickly view images in full-resolution, save them to your device or hide them with a tap, and watch YouTube videos from posts using the in-app player (or launch the official app to do so). Web pages can also be launched in your choice of device default browser, the standard in-app browser or even a special formatted text mode browser for articles, similar to the simplified view offered by apps like Pocket and Instapaper. As with most Reddit clients, Flow features color-coded comments to help keep track of threads and hierarchy. Tapping a comment reveals interaction options (voting, replying, collapsing comment threads, viewing commenter’s profile, and sharing). Flow also has a couple of aces up its sleeve: for one, you can search comments for specific terms within a post; there’s also an AMA mode, that displays only comments that have responses from the OP, and hides the rest, so you can read Ask Me Anything posts without all the noise and irrelevant comments. UI – choose from six different themes, switch up title and content fonts and font sizes, toggle vote detail display and run the app in fullscreen mode. Posts – show/hide NSFW posts, choose to clear read posts before loading more content. Comments – set how many comments to load, default sorting order, enable navigation via volume key. Links – set links to load in web/text mode or launch in browser, launch YouTube and Google links (Play Store, Google+) within app or using default apps. Having tried a number of Reddit apps including Reddit Sync and Reddit is fun, I’m of the opinion that BaconReader and Flow are currently the most usable, navigable and feature-packed of the lot. While Flow is the best-looking client in the race, you really can’t do much better than BaconReader’s slideshow mode if you prefer auto-loading content, like I do. Plus, Flow is still in alpha and is lacking in the post submission department, and users may encounter the odd bug — I noticed a few when using it in landscape mode. “Dealing with user interaction with my software is not something I’m used to; Flow is waaay different from what I normally work on,” says Flow’s sole developer Deepak Manoharan, whose day job sees him writing firmware for enterprise WiFi access points and switches in C and Unix. He found an interesting challenge in learning to design and code his own Android app, and thanks to the glowing response and support of users, he’s constantly working towards “providing a wonderful, bug-free user experience” with Flow. Flow already supports most of Reddit’s functionality, including recently-launched Multireddits; the latest release (0.0.1.0) features multi-account support too. 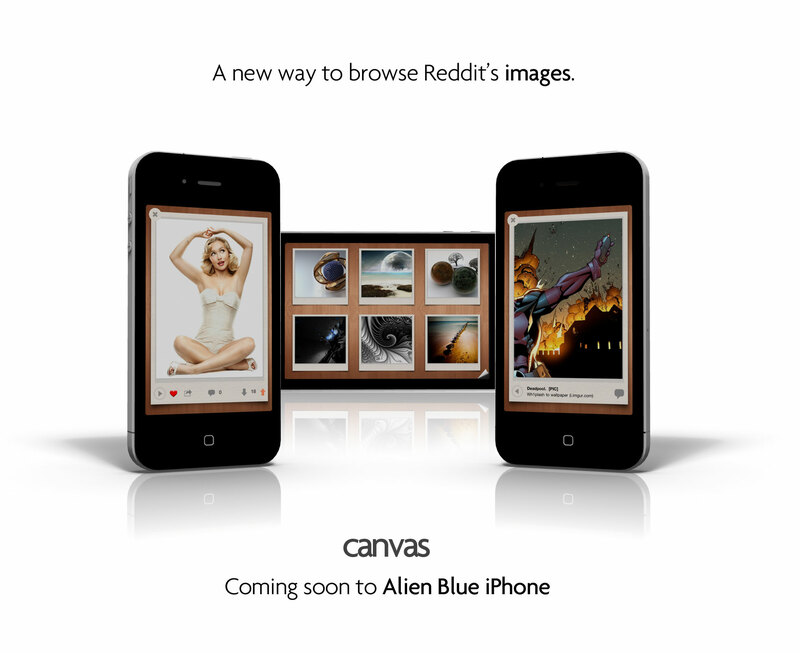 Manoharan is working on better image viewing capabilities, and has his eye on the ‘Canvas’ view implemented in the iOS client Alien Blue for inspiration. He hopes to not only keep the app ad-free, but also make it open-source in the days to come. Meanwhile, I’ve got plenty of topics to brush up on over at r/NoStupidQuestions that I’m ashamed of being ignorant about. Flow is a beautiful Reddit client that features a user-friendly interface and a wealth of options for customizing your browsing experience.